Aoling Festival is celebrated by the famous head hunting tribe of the Konyaks. Nagaland’s Aoling Festival is in full swing; celebrated in the first week of April, this festival is probably as culturally rich as the Hornbill Festival if not more. 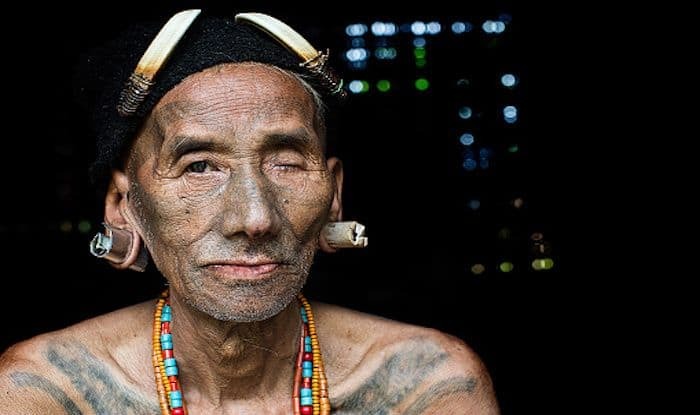 Celebrated by the famous head hunting Konyak tribe, the festival takes place in the Mon district of Nagaland. Aoling Festival is celebrated to commemorate the arrival of spring and to pray for a good upcoming harvest. It marks the end of sowing season; the major crop including Crops include rice, yam, pumpkins, chillies, tapioca, cucumber, maize and millet. Since, the celebrations coincide with the start of the Konyak New Year, the dates can vary as it is celebrated across villages with no definite schedule. The fun lies in asking the locals about when and where the events are taking place upon reaching there. During the initial days of the festival, the Konyaks are seen weaving traditional cloths, looking after the animals that will be sacrificed and preparing food and rice beer for the festival. On the fourth day, all the members of the Konyak tribe dress up in their best headgear, colourful traditional clothes and ornate jewellery. The whole day is spent dancing, singing and feasting as a community and the indigenous dances that they perform symbolise the tribe’s history as headhunters. The last days of the festival are used for spending time with family and in cleaning up the whole village and their individual houses. The highlight of the festival is the gun, with real gunpowder, going off at all times. It creates an authentic ambiance for the festival, and is symbolic of the glory of the headhunting days of the Konyaks. Also, the beautiful red coral tree flowers and red lilies bloom during this time of the festival and people are found singing songs about them in their local dialect.